Acknowledgment: Jon Abrahamson helped with data mining for this article. 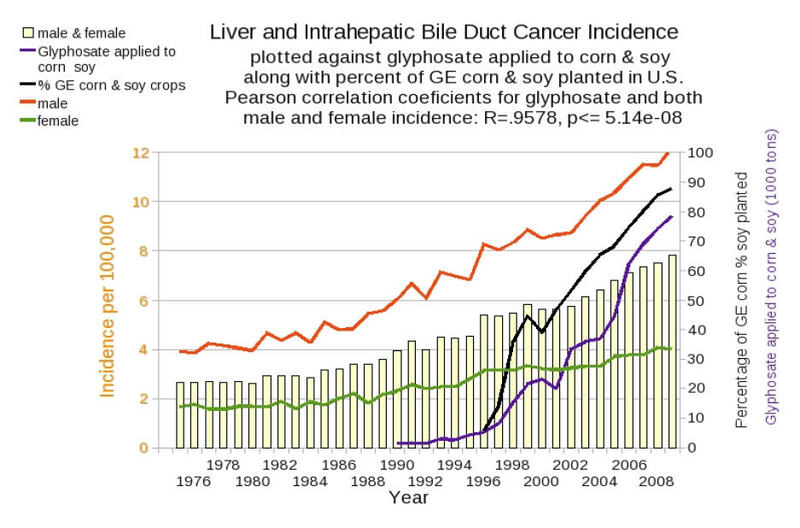 Prevalence and incidence data show correlations between diseases of the organs and the increase in Genetically Modified Organisms (GMOs) in the food supply, along with the increase in Glyphosate based herbicide application . More and more studies have revealed carcinogenic and endocrine disrupting effects of Roundup at lower doses than those authorized for residues found in Genetically Modified Organisms. 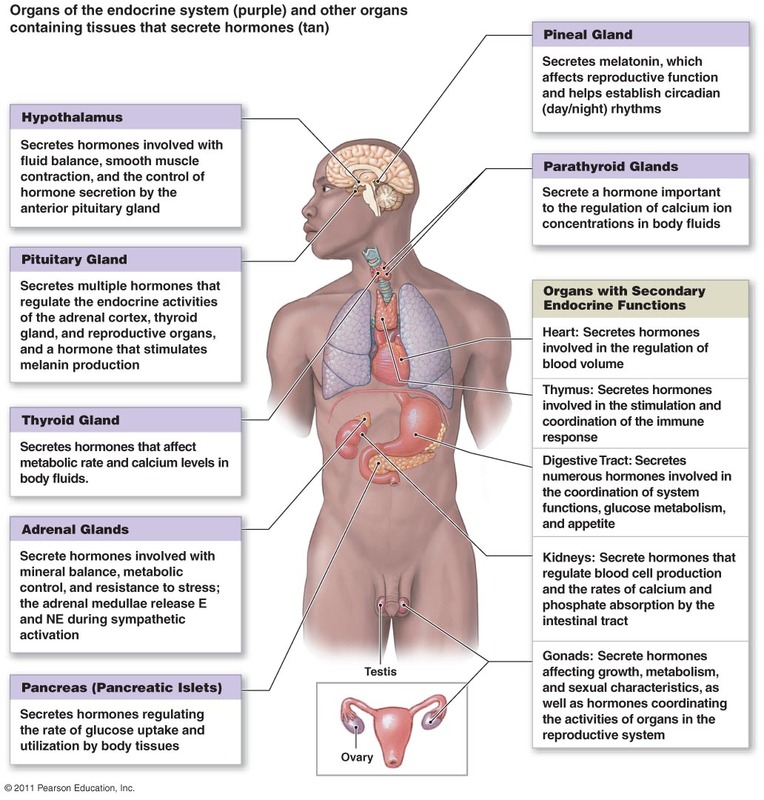 The endocrine system controls the body’s chemical messages through hormones. Hormones are secreted directly into the blood by the endocrine glands: pineal, hypothalmus, pituitary, adrenal, thyroid, thymus, pancreas, ovaries and testes. The glands release carefully measured amounts of chemicals into the bloodstream to regulate important functions including growth and development, reproduction, healthy weight, mood and organ performance. An endocrine disruptor is a chemical that either mimics or blocks hormones and disrupts the body’s normal functions. This disruption can happen through altering normal hormone levels, halting or stimulating the production of hormones, or interacting directly with the organ the hormone was meant to regulate. Because hormones work at very small doses, endocrine disruption can occur from low-dose exposure to hormonally active chemicals. Low doses over long periods of time may lead to very serious illnesses. What are the effects of endocrine disruption? Endocrine disruptors can lead to failure in all systems in the body that are controlled by hormones. Imbalances and malfunctions of the endocrine system can lead to diabetes, kidney disease, hypertension, obesity, osteoporosis, Cushing’s syndrome, hypo- and hyperthyroidism, infertility, birth defects, erectile dysfunction, cancer (breast, prostate, liver, brain, thyroid, non-Hodgkin’s lymphoma), sexual development problems, neurological disorders (learning disabilities, attention deficit disorder, autism, dementia, Alzheimer’s, Parkinson’s, schizophrenia) among others. Endocrine disruptors are especially damaging to growth in fetuses, babies and children. 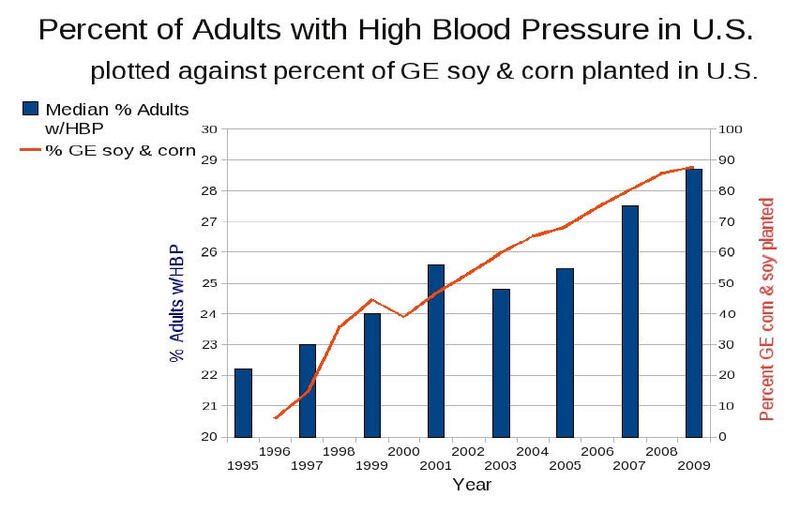 It was shown in previous articles that there has been a huge increase in the amount of glyphosates applied to corn and soy crops grown in the U.S. corresponding to the rise in the percentage of corn and soy planted with genetically engineered (GE) varieties. 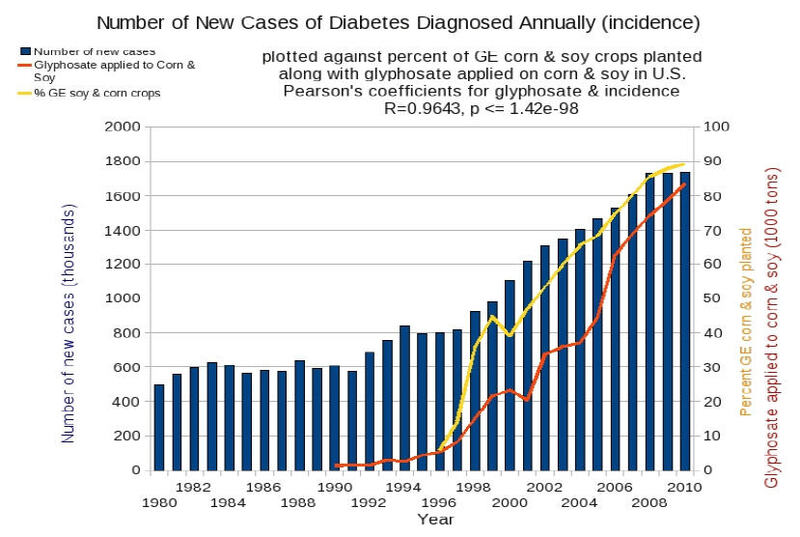 Those data represent only a portion of the total GE crops and amount of glyphosates applied. The USDA only collects data on GE crops for corn, cotton and soy. Since most of the corn (88%) and soy (94%) planted now is GE, these data give a representation of the rising trends in both GE crops and herbicide use. 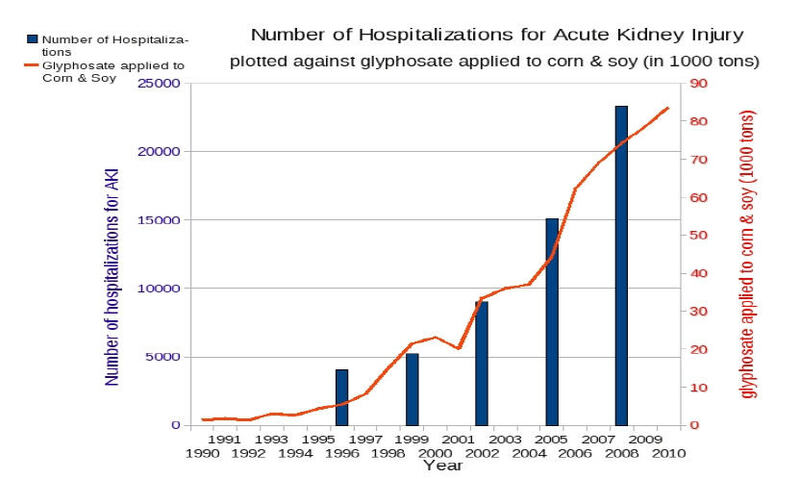 Glyphosate was first marketed for weed control under the trade name Roundup™ in 1976 but data are not available before 1990. 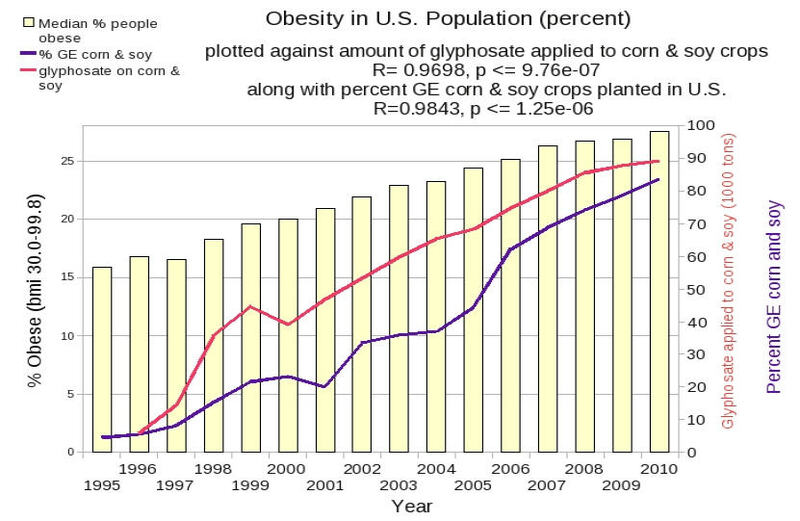 The data for corn and soy crops have also been plotted against: % of U.S. population who are obese, who have high blood pressure, and hospitalizations for acute kidney injury (a sudden, temporary, and sometimes fatal loss of kidney function). 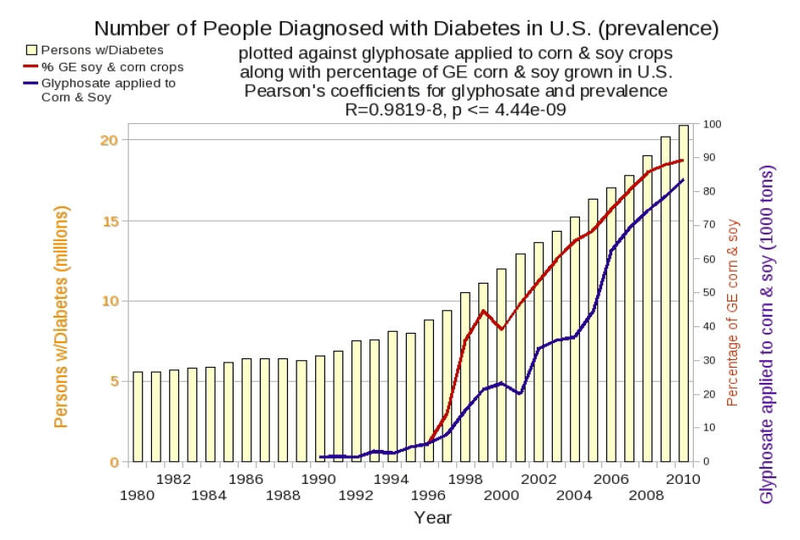 While these data aren’t available before 1995, the trends are remarkably coincident. 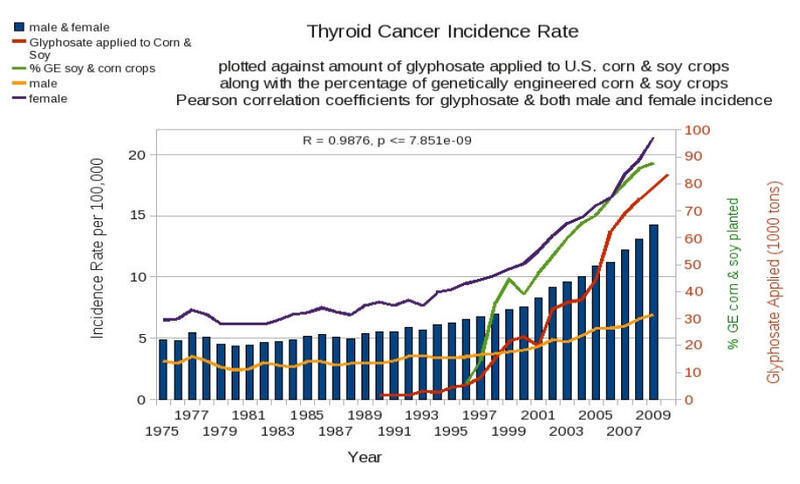 Correlation does not necessarily imply cause and there may be other factors. Other known endocrine disruptors are: BPA (bisphenol-A) & phthalates (both in plastics), dioxins (byproduct of smelting, paper bleaching, manufacture of herbicides and pesticides), and atrazine polychlorinated biphenyls (PCBs — used in electrical equipment, coatings, inks, adhesives, flame-retardants, and paints). Indeed, we are bombarded with a veritable cocktail of chemicals daily in addition to GMOs and their associated herbicides. These include food preservatives (BHA & BHT), water contaminants (chlorine & fluoride), food additives (aspartame, monosodium glutamate, carrageenan), and food coloring to name a few. We have been exposed to an increasing background level of chemicals for over 40 years. The body burden becomes overwhelming. GMOs may be pushing us off the cliff. Certainly more research should be done to firmly establish causality. There are many scientific studies showing that glyphosate and the additives in Roundup are toxic to human cells. Below is a list of those most pertinent to this discussion. In 2004, Marc et al. reported that glyphosate-based pesticides cause cell-cycle dysfunction that leads to development of cancer. 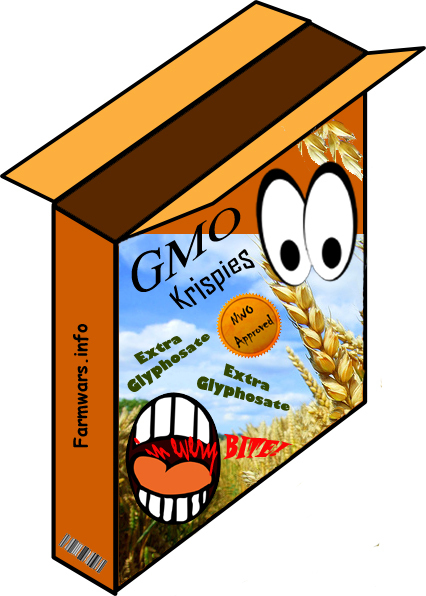 What is often overlooked is the role of “inert” ingredients in glyphosate formulations like Roundup, which have been found to amplify glyphosate toxicity. Acute Kidney Injury: National Kidney and Urologic Diseases Information Clearinghouse (NKUDIC) a service of NIH (public domain). Cancer data: National Cancer Institute-Surveillance Epidemiology and End Results (SEER) SEER 9 areas (San Francisco, Connecticut, Detroit, Hawaii, Iowa, New Mexico, Seattle, Utah, and Atlanta). I can’t help but think we are being terminated as human race. The genetic plasmids of other lower order species injected into GMO’s accounts for this. 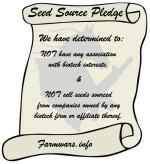 I believe we are being dis-adapted to our environment in general since the advent of GMO’s. New genetic research shows that our genome is fluid and constantly adapting and changing. Also, that it is cumulative and will become worse as the years go on. With GMO’s as they are done today we are turning back the clock to the old (very old) gene pools and that is taking us backwards down the path of evolution instead of forward. 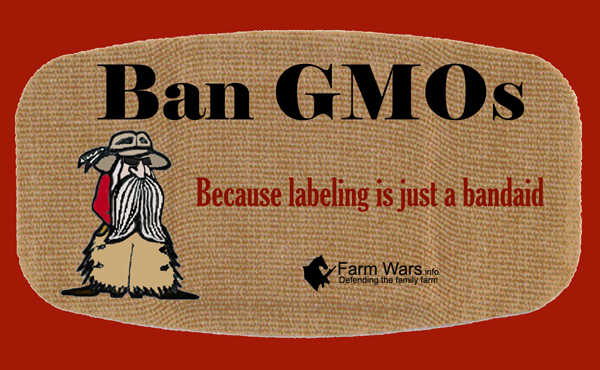 gmo2ashes- Well said my friend well said- bravo!!! You are right on!!! Excellent article to help educate those still on the fence, that is, those who are actually interested in the subject. However, even with saturation, people would still need to come together in common unity for a defensive strategy to eliminate the threat. While it’s been shown that glyphosate stays in the soil far beyond what its makers claim and it permeates into the underlying groundwater further poisoning aquifers, streams, rivers and coastal fisheries, still, the issue is much too complex for the average Joe to comprehend. Our society today is utterly dependent. People depend on something or someone else outside of themselves to make them healthy, happy and whole. Almost no one makes their own clothing, builds their own home, or grows their own food. Like helpless, naive little children, they take no responsibility for their own destiny. Therein lies the problem. The intellectual remains resolute in his wisdom; he only gives way to the crushing weight of the masses. We are but krill adrift in an ocean of potentiality, our direction effected by the whim of the ocean’s wave. And while it would be difficult to control the ocean’s movements, it’s relatively easy to direct the minds of the majority. People have been trained to accept and obey symbols of authority. 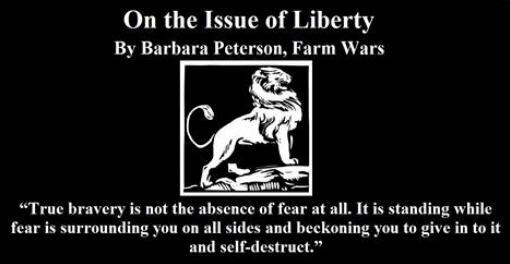 Through usurpation and compromise of those so-called symbols of authority and the “trusted” institutions we view as protections, the populace is easily manipulated, even led to slaughter. 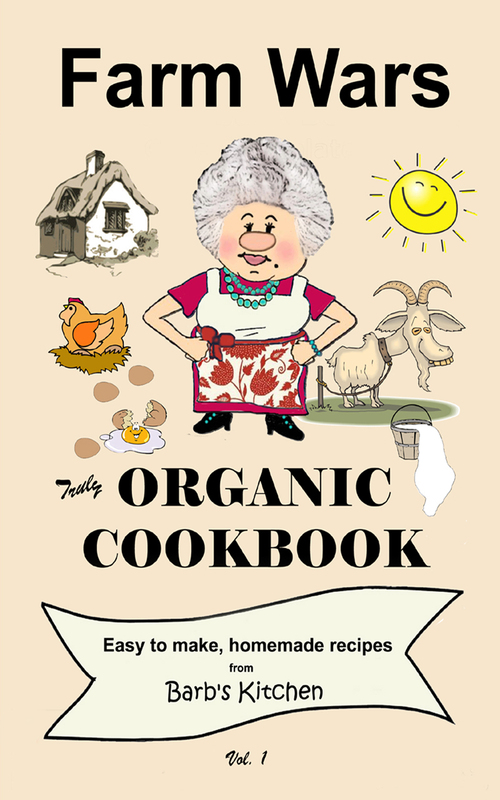 GMOs together with glyphosate, corexit, vaccines, chemtrails, fluoride, mercury, food additives, radiation, prescription drugs and a witches brew of VOCs and other assorted bio-contaminates are nothing less than chemical warfare being waged against humanity and the Earth. no one cares!!! its sad but true, the farmers don’t care because the people don’t care! I can’t help but care whats wrong w/ me????? ?